Bocce ball court sizes vary greatly. They can be anywhere from 8 feet to 14 feet wide and 60 feet to 91 feet long. Generally speaking, the widely accepted size is 13 feet by 91 feet for a professional level bocce ball court used in tournaments. There is also a border that outlines the court which allows players to bank off of in order to get around opponent’s bocce balls. The back wall, however, is used as a foul wall, which I discuss in the Rules/How To Play page. The border must be a minimum of 6 inches tall and also anchored to the ground so that it doesn’t move when struck by the balls. The most common borders are constructed from wood, but cement, synthetic decking, and a mixture of all 3 are becoming increasingly common. Your sub-base is simple. Choose your court site then remove all the plants weeds, and large rocks. You then water, compact, and roughly level it. Keep in mind that the more you level it now the easier the rest of the layers should be. Your base is going to be larger crushed stone. The stones should be roughly between 3/8 inch to 2 inch large. You have to water, compact, and level this layer also. The final thickness of this layer after compaction should be at lest 3 inches. Know you are ready for the leveling layer. 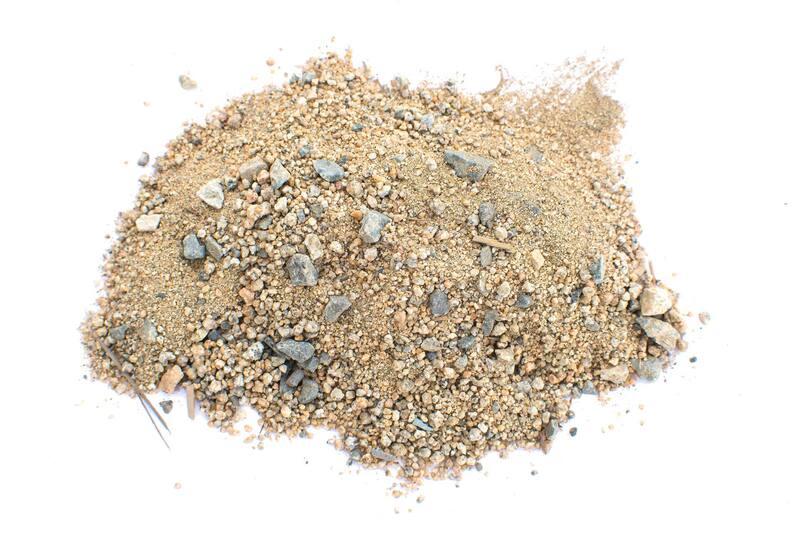 The size of the crushed stone should be between 1/8 inch to 3/8 inch. The final thickness should be at least 1 inch thick after compaction. Make sure you get this near perfectly level. Traditionally, crushed oyster shells are used as the substrate for a bocce ball court. The oyster shells are near the same price as other substrate options, are low moisture retaining, and are great for staying level and compact. However, oyster shells are high in calcium and act as fertilizers. What this means is weeds and particularly mosses will love your new bocce ball court. Of course this is if you live in a damp place like Oregon. Where the climate naturally supports these plants. 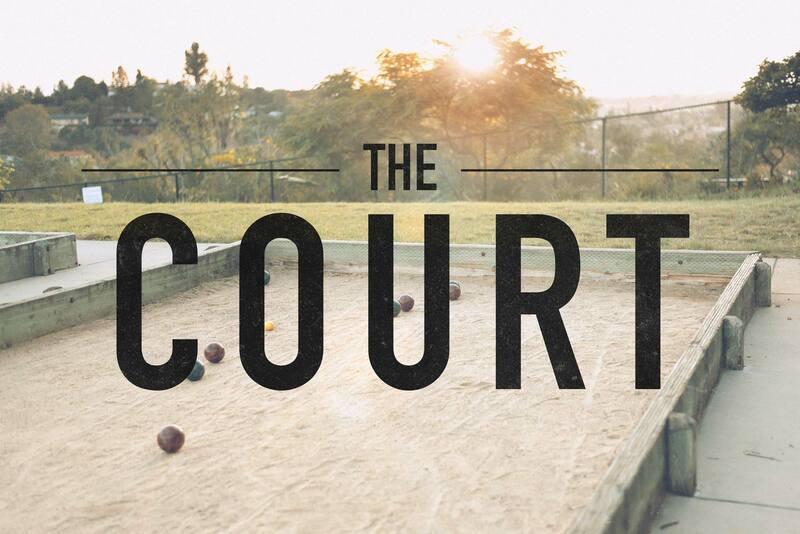 Other options for a traditional-esque court include a mixture of sand and gravel or decomposed granite. These options are great as they are inexpensive, are low moisture retaining (oyster shells are probably less though), and prevent weeds. These do not act as fertilizers, and will not supply unwanted plants with nutrients. Do keep in mind though that, mosses love compacted surfaces, shade, and moisture. Here's the substrate from my local bocce court. Big rocks are about 1/4". Lastly, we have the grasses. Natural grass will of course have the regular maintenance of watering, cutting, and fertilizing. I do not recommend going this route for a dedicated court. If you want to preserve some functionality of your yard then this would be a good option. You can just have a big lawn to play bocce ball on with no borders or better yet buy a portable court and have the option to set up court anywhere, including your yard. If dealing with the rocky materials mentioned above does not sound appealing or you want a more aesthetically pleasing court, then synthetic grass/turf is your best bet. This can get fairly pricey though as the cheaper stuff doesn’t look as good and/or doesn’t last as long, and the higher quality stuff – well costs quite a bit per square foot. Bocce ball is simple. Just grab a set and play anywhere that has enough space. A court is not necessary, although quite nice and official.